The Japanese experimental cinema movement became strong in the late 60’s, having it’s peak in the late 70’s. Toshio Matsumoto, who started making avant-garde documentaries and artistic feature film, and other predecessors, had a big influence on a new generation of film makers. Many of them were fascinated in exploring the mechanism of the moving image. 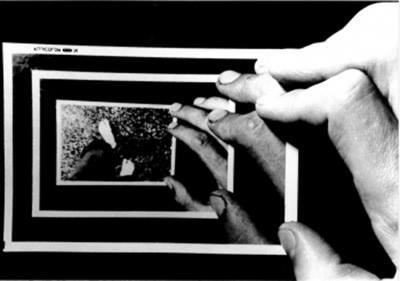 This program highlights the peak period of Japanese experimental film, putting Atman (1975) by Toshio Matsumoto, which creates an extraordinary spatiotemporal sensation, and Spacy, by Takashi Ito, seriously influenced by Atman, as two merkmals. The films in this program, except Matsumoto’s and Ito’s film, have not been digitized, and their importance is underestimated both inside and outside Japan. For this reason it is a rare opportunity to watch these films in the original format.